Matthew 16:26 – What good will it be for someone to gain the whole world, yet forfeit their soul? Or what can anyone give in exchange for their soul? Why does it make you happy to help people? I think the truthful answer to that question is key to revealing the source of our hope, joy, value, identity, purpose – in a word, our VERY essence. This reality came to a head for me on Friday. I started my day at 4:20 am with my ritual worship at the alter of MY WEIGHT, aka the bathroom scale. Talk about God’s sovereignty – He controls my body to such a degree for His good purposes, that just like previous days and weeks, I was stuck 5 pounds higher than I want to be…..a fact painful to me since November when I realized that I had added to Maria’s substance. I KNEW that this moment was crucial, that I was battling idolatry and who and what was most important in my life. 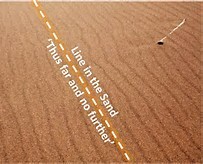 I wrestled with this truth on my morning walk, recognizing the approaching ‘line in the sand’. Was I going to worship MY happiness or submit to God as Lord of my life? Listening to John Piper’s sermon in the car on the way to school and applying his line of probative questions to what I describe as that which makes me happy, I saw the foolishness and futility of imbuing 5 pounds with THAT much power over me. For MY bottom line with the weight idol is this: If I weigh X lbs, I’ll be happy. As James says in chapter 4, verse 4- ….You are a mist that appears for a little while and then vanishes. Why should you or I allocate that many resources of mind, heart and strength to the shell, the temporary? Where is my concern with the main part of me that will last eon upon eon of time? And if, as the Bible teaches, we are going to be completely changed upon seeing Jesus face to face, why am I angsting over what will drop off and decay? As our pastor Patrick quipped this morning: When we die, the nut that we were leaves behind the withered shell of our body. (That got me pondering: Am I a peanut, a chestnut, a walnut, a pistachio????) I’m 57 years old. This weight issue is OH,SO temporary and 40 years from now I won’t be even thinking about it. So why waste my earthly energy TODAY worshipping the outer casing that is going to disintegrate? What was in her power, she did it. I love the French version of this little fact about Mary who anointed Jesus’ feet with expensive oil, giving him a foot massage! In doing a bit of internet research, I found out that this Mary is likely Lazarus’ sister, the one who had a previous foot reputation. She would gather with the men and listen to Jesus, sitting at his feet while her sister fumed in the kitchen. What I extract from this verse is that we all have SOMETHING, some kind of ability, gift, talent or goods. And when we use it in a worshipful and loving way, we receive recognition, but not from men……. I find the 2nd part of the motto the more interesting. When we ascribe worth to God, we are worshipping, doing what we were meant to do. That IS our work. “What am I going to do with my life??? ?” – is the cry of my seniors where I teach. Tomorrow is the 1st day of March. They have 3 more months of high school and then off to college they go. They are angsting over the first significant (so they think) decision of their lives. THIS moment – this SECOND. How should we work in this moment? By doing what is in our hand to do. – What has God given you that you can use or do right now in a way that shows the world that – you love the eternal, infinite, unchanging only true and wise God?